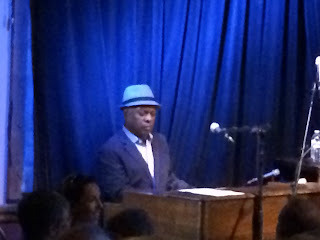 Last night, Richie Beans and I caught a Booker T. Jones show at Eddies Attic in Decatur, Georgia. This is the third time that I have had a chance to see Booker T, the first was at the Bob Dylan 30th Anniversary Concert at Madison Square Garden and the second was on a ridiculously hot day at Dobbins Air Force Base outside of Atlanta when he performed with the MGs. These two concerts rank among the greatest shows I have ever seen. To me, the genius of Booker T is in his restraint. In a musical world that always pushes towards "louder-faster", Booker T has crafted his music in a way that caps both volume and tempo. This creates a natural tension for the listener and places an emphasis on the music's tone, technique, and structure. The magnificence of his music is that - despite the greatness of the musicians - nobody ever overplays. Last night you heard it in songs like Born Under A Bad Sign (he co-wrote this song for Albert King when he was 22 years old, introducing an R&B bass and guitar line to the blues that created a timeless classic), Green Onions, Hip Hug Her, Time Is Tight, and covers of more recent songs like Purple Rain and Hey Ya. The control of tempo was always evident. When he stepped out from behind his hammond organ to play guitar, he turned to the young, hotshot drummer and said "Give me 100." The drummer took out his gig bag, plugged his electric metronome into his ear, and softly tapped a restrained 100 beats per second on his hi-hat. Booker T did the rest. But for me, the highlight of the night was watching the man himself. The meter in his stride. The rhythm to his speech. His eyes gazing across the small room. The way the corners of his mouth lifted when he flashed that infectious smile. All of these things were assuredly delivered at a slower than typical pace. His command of tempo extended beyond music and into his manner. And here too, it let the more important elements shine. The majesty of his restraint allowed this to become more than a magical musical experience, it became a lesson on life. Thanks to Richie Beans for sharing the experience. 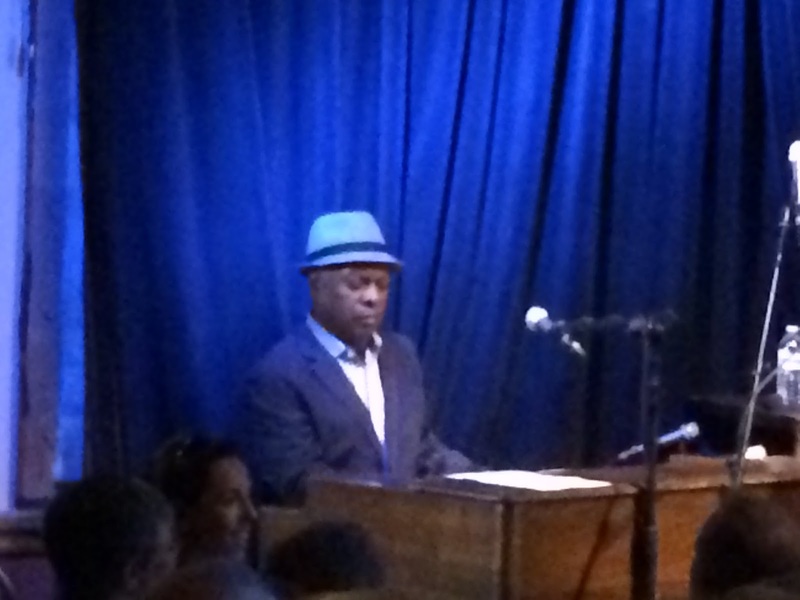 Click Here to watch Booker T. Jones perform on NPR's Tiny Desk series.